Make yourself at home in one of the 19 individually decorated guestrooms, featuring MP3 docking stations and LCD televisions. Complimentary wireless Internet access is available to keep you connected. Private bathrooms have rainfall showerheads and complimentary toiletries. Conveniences include safes and desks, as well as phones with free local calls. Featured amenities include limo/town car service, complimentary newspapers in the lobby, and dry cleaning/laundry services. A roundtrip airport shuttle is provided for a surcharge (available 24 hours). Mingle with other guests at a complimentary reception, held daily. Breakfast is available daily for a fee. 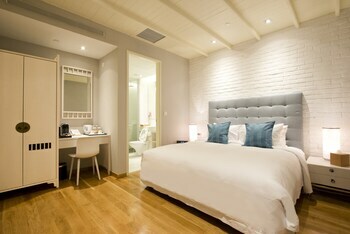 With a stay at Hotel NuVe Heritage in Singapore (City Hall), you'll be minutes from Suntec Singapore and Raffles City. 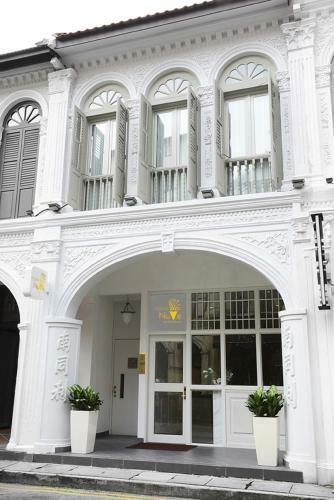 This 4-star hotel is close to Chinatown Heritage Center and National Orchid Garden. The preferred airport for Hotel NuVe Heritage is Singapore (SIN-Changi).